Ed Rendell Archives - Joe.My.God. Former Pennsylvania Gov. 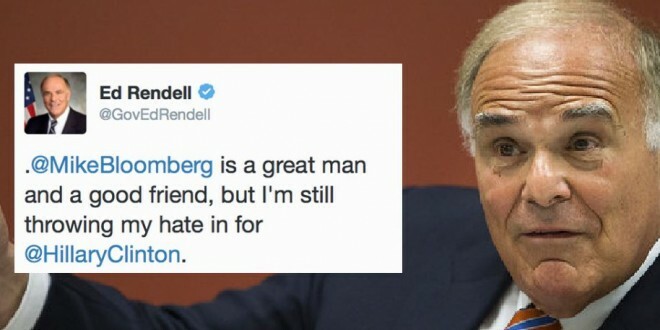 Ed Rendell briefly endured a Twitter snarkfest this afternoon when he typo’d his endorsement of Hillary Clinton. 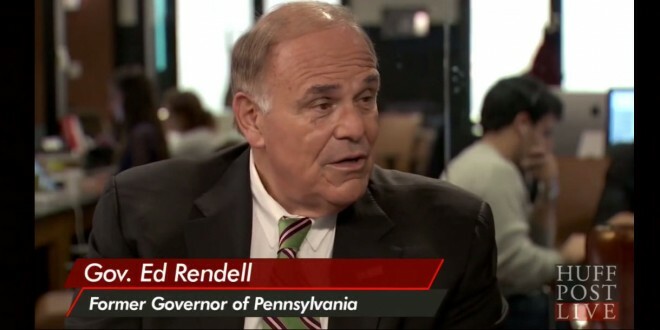 Rendell, a Democrat, became a paid shill for the fracking industry a couple of years after being term-limited out of office in 2010.